Sitzes Self Storage provides top quality storage units to anyone in Abilene and Cleburne, Texas. When you rent a space at one of our five facilities, you’ll have access to your unit 24 hours a day, 7 days a week. Contact the facility nearest you and start storing! 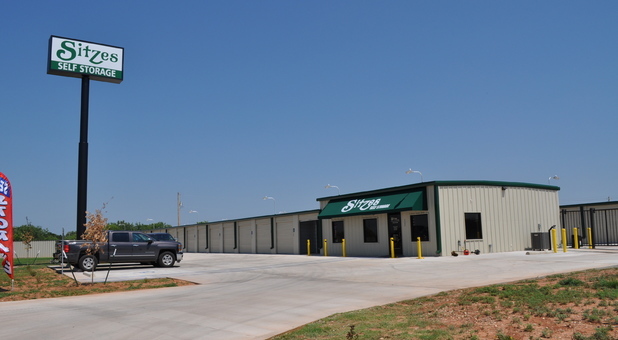 Sitzes Self Storage has four facilities throughout Abilene,TX. Each facility is easily accessible via many major highways and interstates including Hwy 84, Hwy 83, Hwy 332, Hwy 227, I-20 and Treadaway Blvd. We currently have one facility in Cleburne, TX located next to U.S. 67. Each of our Abilene facilities are near Wiley, Clyde, Tye, Potosi, Merkel, Caps and several other surrounding areas. If you live in the Keene, Joshua and Burleson, TX areas, our Cleburne facility is a convenient storage option for you. Maybe you’re a student attending or who plans to attend Abilene Christian University, McMurry University, Cisco College, Hill College or Hardin-Simmons University. If so, find the facility closests to your school and rent a space for a price best fit for a college students budget. 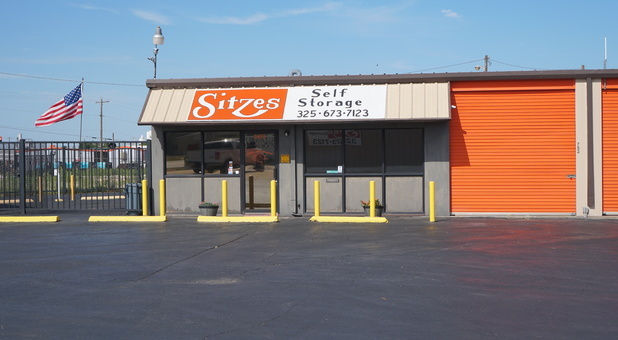 Sitzes Self Storage is proud to serve residents and students throughout Abilene and Cleburne. Call the facility or rent a unit online! We ensure a high quality security system 24/7 because we care about our tenants and their belongings. All five of our facilities are under video surveillance at all times and since our units are accessible 24 hours a day, 7 days a week, each location offers gate access and can be opened with a unique passcode. If you plan on visiting your unit at night, we have lights hovering over the facility to help keep intruders at bay. If you need any packing supplies such as boxes, bubble wrap, or tape, each facility sells them in the main office for a great price. Since we have ground floor units, carrying heavy boxes upstairs and loading them onto an elevator won’t be an issue. This feature makes it easier to move your belongings into your unit, saving yourself time on move-in day and during future visits. Drive-up to your storage unit whenever you need with 24 hour access.